Representatives from the Atlanta office of the Consulate General of Perú will be at the offices of the Nashville Area Hispanic Chamber of Commerce located at 530 Third Ave. South (conference room) on Saturday April 18th 2009 from 10:00 AM to 3 PM to process legal Peruvian government issued passports, birth, marriage and death certificates for Nashville's growing Peruvian population. The Nashville Area Hispanic Chamber of Commerce (NAHCC) will host the event in an effort to provide Nashville's Peruvian residents with acceptable identification. 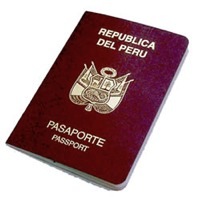 Peruvian passports are one of the very few documents accepted by government and private institutions as a form of ID and may be used by these residents to open bank accounts, travel, and make other important lifestyles changes. The Peruvian Consulate's Office visit to Nashville represents a significant step in reaching out to Nashville's increasing number of Hispanic residents, who are in need of proper identification but are not always able to travel to Atlanta to obtain such documents. The Nashville Area Hispanic Chamber of Commerce hopes to host this event at least twice a year and will continue its efforts to support the growing Hispanic community in Nashville. Providing these residents with a legal form of ID is just one of the many steps to supporting this continuing effort. Inquires could be directed to movil@consulperuatlanta.com or to make an appointment please e-mail poderes@consulperuatlanta.com or send faxes to 678-990-1920. The consulate's web site indicates that appointments should be set up in advance - by Monday, April 13. Is there another date when this same service will be available? Is there any way I can be emailed about this? Thank you.